This year’s release of L. Ron Hubbard Presents Writers of the Future Volume 34 debuts 12 new writers with their voices of creativity and diversity in science fiction and fantasy literature. 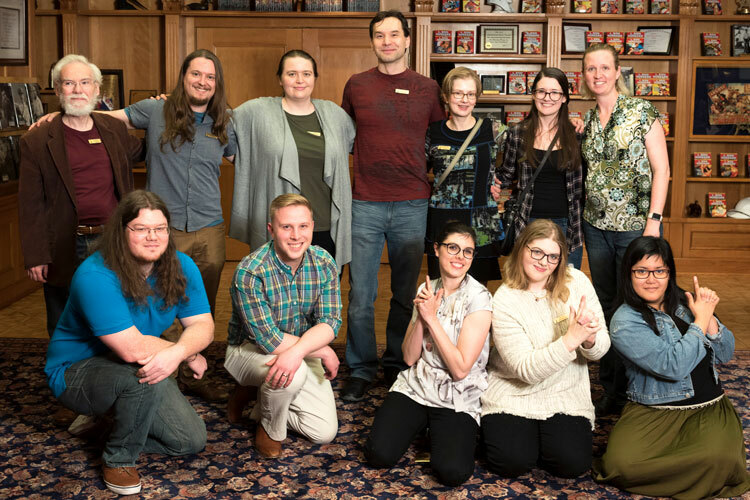 In 1983 L. Ron Hubbard created and endowed the Writers Contest, followed several years later with a companion Illustrator Contest, as a means to discover and nurture new talent in science fiction and fantasy. 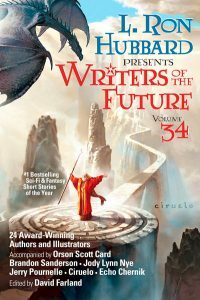 Writer winners are selected by a blue-ribbon panel of judges including Orson Scott Card, Brandon Sanderson, Kevin J. Anderson, Larry Niven, to name but a few. 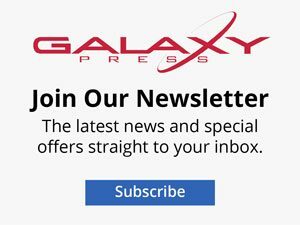 For more information about the Contests, visit www.writersofthefuture.com. This year’s winners were selected from thousands of entries that came in from all over the world and here is a glimpse of some of the new voices you will meet. Darci Stone’s story “Mara’s Shadow” was strongly influenced by her love of science and world cultures. Darci has lived in Singapore, taught English in Russia, and has participated in humanitarian aid projects in India and Cambodia. “Mara’s Shadow” is a medical thriller that involves speculative biology as Ngo Lien, an entomologist in Viet Nam, races to find a cure for a dangerous new parasite that threatens to strike the world at large, as well as those dearest to her. Lien’s search for a solution will cross both continents and time as she struggles to fit the pieces together before it is too late. Vida Cruz lives in a stunningly woodsy village by a dam in Manila, Philippines with her parents, sister, and six memeable dogs. Formerly a journalist, she now writes children’s storybooks that teach Chinese kids English. Vida’s story “Odd and Ugly” is an ode to transformation and re-telling of Beauty and the Beast in a Spanish-era Philippine setting. Her story is told from the point of view of the Beast and centers around a housekeeper he takes in who has more secrets than either of them can handle. 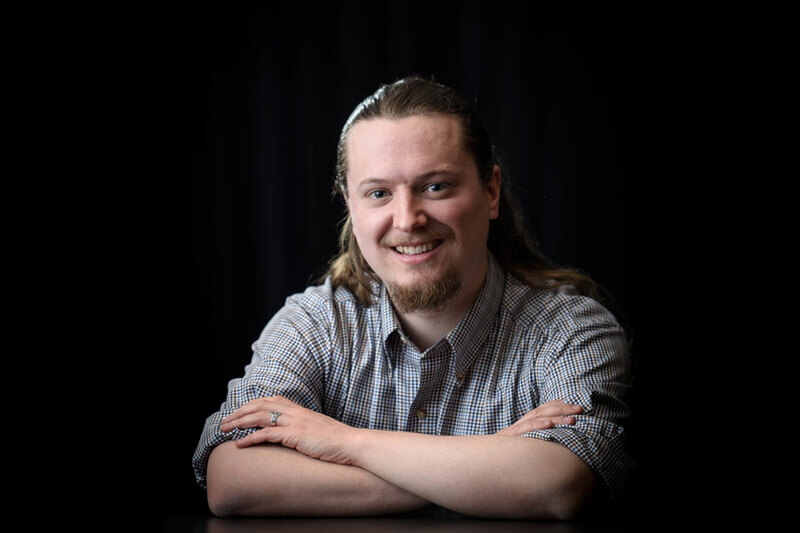 Jeremy TeGrotenhuis is a writer from Eastern Washington State, where he grew up playing make-believe in the same desert that houses the most polluted nuclear waste site in America. He has lived in Beijing, where he studied Mandarin, and in Taipei, where he and his wife Hannah taught English. Jeremy’s story, “The Minarets of An-Zabat” centers around a sorcerer who was secretly raised in his grandmother’s indigenous culture, but grew up to serve the same Empire that colonized her people. As he works to advance the Empire’s goals in a new colony, his curiosity regarding the indigenous magic of the local people, as well a burgeoning romance, embroil him in a festering conflict between the Empire and the local magic-wielders that the colony depends upon. As the conflict deepens, the protagonist must come to terms with his own identity as he chooses a side between the Empire he serves and the people he has come to admire. Amy Henrie Gillett lives in Texas with her husband and three kids. 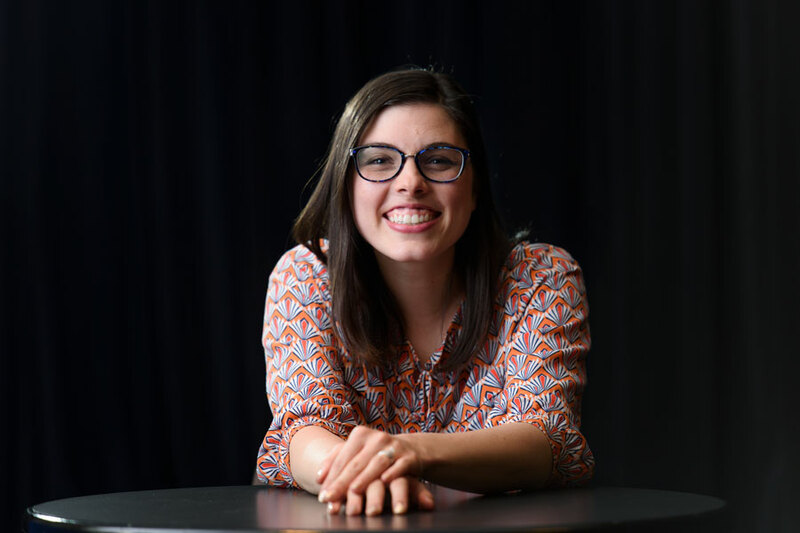 She was raised by a book-loving father and a word-loving mother, and received her first personal rejection at nine years of age thanks to a loving grandmother. All three ignited her lifelong need to write and her dream to publish. 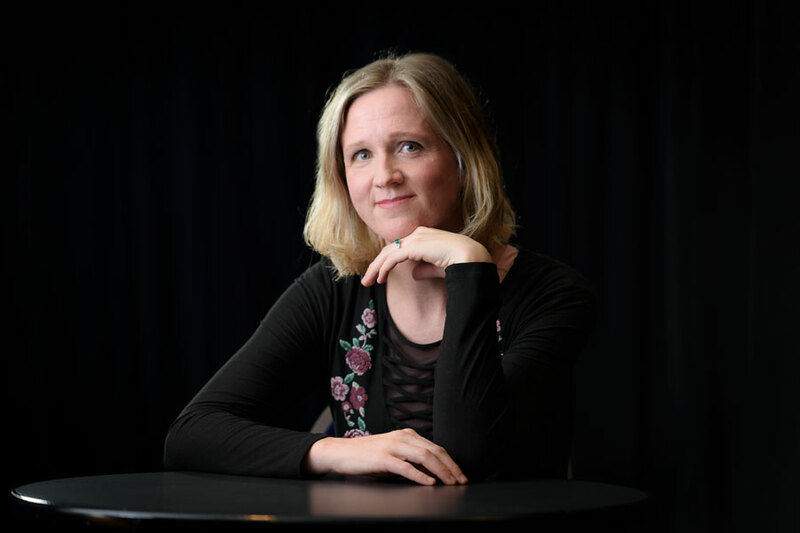 Amy received her BA in sociocultural anthropology and Middle East studies at Brigham Young University–Provo and employs those studies in her writing. 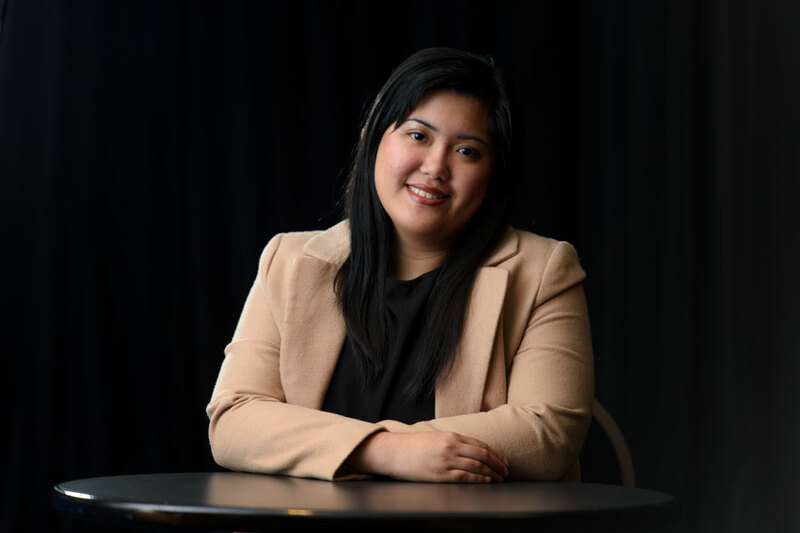 She hopes that by producing stories that kindle people’s hearts and minds, she contributes a little light to a world that sometimes seems so dark. “All Light and Darkness” chronicles a young fugitive who is trekking with a group of refugees to hide from pursuit. He meets a young woman who’s brought along her own set of troubles, and when she’s captured by slavers, he has to decide whether to save her or save himself. 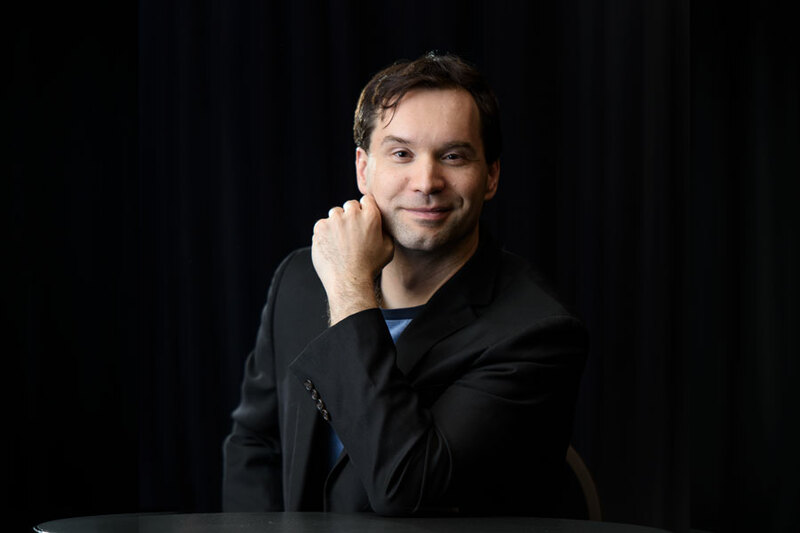 Eneasz Brodski lives in Denver, Colorado and is active in the Bayesian Rationalist community, an eclectic collection of misfits who believe humans can do better. Through the powers of science and technology, he hopes all humans currently living can someday celebrate their 5,000th birthday. Eneasz has been writing since he could hold a pencil but has only begun professional efforts in the past few years. When he’s not writing, podcasting, or blogging, he can often be found gothing it up at a local goth club where he is willing to strike up a conversation with anyone in dark clothes and eyeliner. Diana Hart lives in Kent, Washington with her nerd-tastic husband and a panhandling peahen. She speaks fluent dog, wields an epee, and escapes into the woods whenever she can. 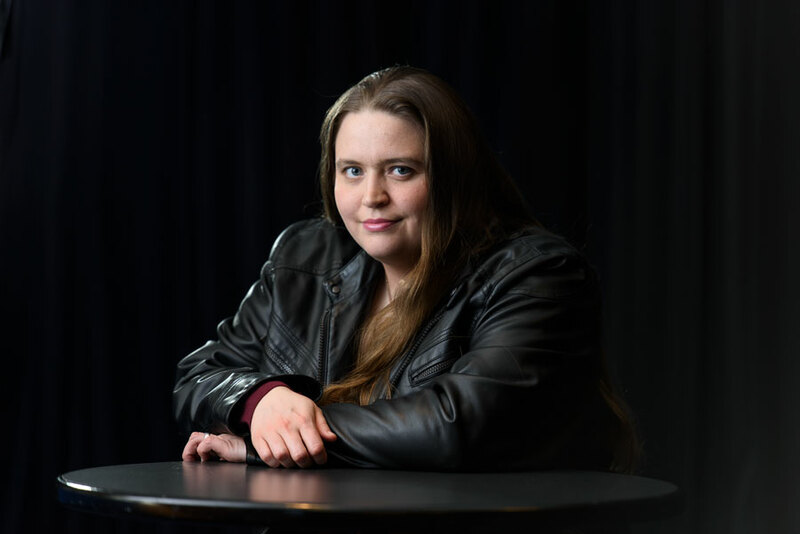 In fact, “Miss Smokey”—her debut piece and part of a larger urban fantasy setting—is the product of several storm-sodden jaunts through the Olympic rainforest. Storytelling has always been Diana’s passion. Her love affair with the craft stemmed from a well-used library card, enough mythology books to crush a cat, and years immersed in the oral traditions of the Navajo. 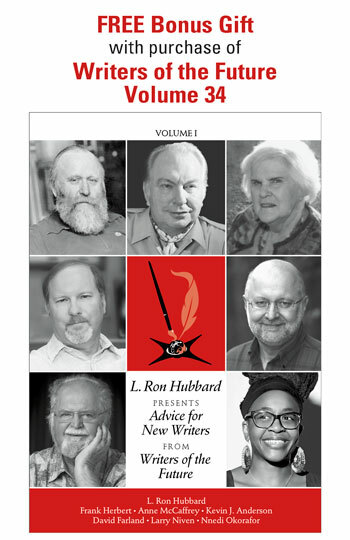 The #1 bestselling sci-fi and fantasy anthology, L. Ron Hubbard Presents Writers of the Future Volume 34 is now available in print, ebook and audiobook format. Order your copy today.